Like any business, yours needs a little bit of help to get started. Whether that’s some startup investment, contact building or help with distribution, it’s likely you’ll need a helping hand at one point. The secret to any successful business is in the way it promotes its brand and we believe that is in area we can help in. So here are five ways in which Kaizen can help you achieve your business goals. If you have an idea, a logo or a design in mind, we’re happy to print it wherever you want. However if this is something your business still needs to develop, our design team is happy to help with any queries you may have. 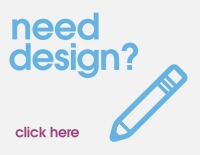 Our expert designers are on call to help you with the imagery to get your business noticed. They have a large amount of experience of working with business, both startup and established, so can provide you with the same professional service you would hope to provide to customers yourself. It would be easy to think that this kind of professional service would come at an increased cost, but at Kaizen, we are committed to providing the highest quality services and products at a competitive price. We won’t ask you to compromise cost for quality or vice versa, because we wouldn’t expect that ourselves. We simply provide value for money printing and design services personalised to you. Although we are based in Belfast, we offer our services all across the UK and Republic of Ireland, so whether you’re a Glasgow Grocer, a Cardiff Cafe or a Dublin Dog Groomer, Kaizen can help you in growing your business. Poster printing, flyers, notebooks, appraisal pads, fabric media walls - We can print them all. We can do things you’ve never even heard of to make your business more successful. Whether it is something simple and classic like business cards or something more unique and innovative such as contravision, you can be assured that we will produce the finished product to the highest possible standard. But you shouldn’t just take our word for it. Our customers speak for us when it comes to our guarantee of quality. We actively encourage our clients to rate us and it’s so far, so good in that respect. With an average of 4.9 stars out of five from our customer reviews, you know that our previous customers have been thrilled with our work. Whether it’s saving one customer from another company who failed to print her wedding invites on time to helping another figure out exactly what they wanted from our design team, we are here to help in any way we can.